Ah, yes, June: Schools are out, the days are getting long and hot, and the sweet sound of marketing wafts our way from southern California, where E3 — the annual video game exposition that in theory is still at least kinda, sorta an industry trade show — is finally underway. The whole conference technically doesn’t kick off until Tuesday. Until recent years, Monday was traditionally the day for the big hardware-makers and major publishers to string all their splashy press conferences together. But as of this year, that festival of hype now begins on Saturday, and so it has already been running all weekend. Ubisoft and Sony have yet to host their conferences — Ubisoft is up today at 4pm Eastern, and Sony will take the stage at 9pm Eastern — but EA, Microsoft, and Bethesda are all already done. So other than some new titles that look good, what have we learned worth knowing? In the last 15 years, we’ve gone from Xbox to Xbox 360 to Xbox One. And yet somehow, each time Microsoft comes up with an update, they manage to make the name even sillier to say — a trend that continues this year. Microsoft teased some kind of super-fancy XBox One updated version, temporarily called Project Scorpio, at least year’s E3. This year, they gave it a name, a launch date, a price point, and a whole big list of specs. Project Scorpio is now officially the XBox One X. Not only is the name silly, but also last year Microsoft launched a less powerful updated version of the XBox One called the XBox One S. Surely those extremely similar-sounding names will in no way cause any confusion or accidental wrong-item purchases in stores nation wide, right? 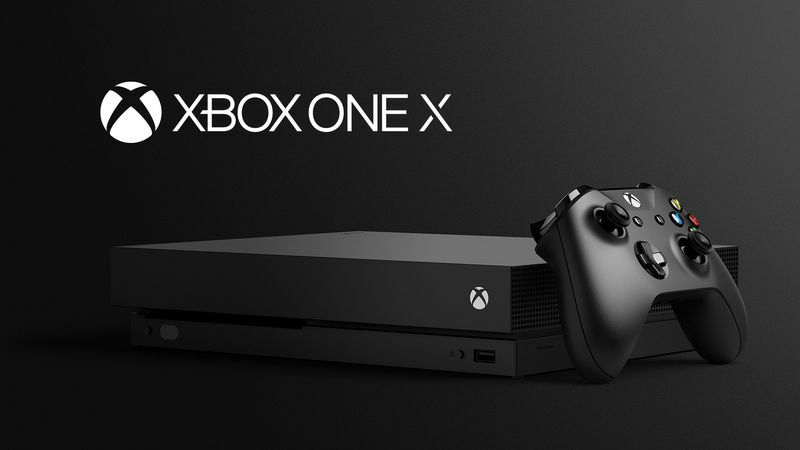 Name aside, the promise of the XBox One X (which many astute Twitter users noted simultaneously abbreviates to XBOX, very nice Microsoft, we see what you did there) lies primarily in the future of ultra-high-definition 4K TV. Microsoft also touted its size — namely, how small it is, designed to sit unobtrusively and quietly in your modern living room. For those who care deeply about CPU, GPU, and cooling specs, Kotaku has a chart breaking down the details on the full family of XBox One consoles. Perhaps you, too, have in your living room a shelf full of favorite old discs that no longer work correctly on any console you actually own or have hooked up to your TV. In my home, it’s a shelf of PlayStation and PlayStation 2 titles, so Microsoft’s news isn’t helpful for us. (Neither is Sony’s attitude.) But dedicated Xbox players, rejoice: Four years after the launch of the XBox One, its backward compatibility is expanding yet again. Microsoft first announced any backward compatibility for the Xbox One at E3 2015, but it took until Oct. 2015 for the console finally to be able to play a limited number of Xbox 360 games. Over the last year and a half, that list of Xbox 360 games you can play on your XBox One has increased to nearly 400 titles, Microsoft executive Phil Spencer said at the press conference. And eventually, he announced, some titles from the original Xbox will be playable on the XBox One as well. The first XBox launched in 2001, and was supplanted by the incredibly popular XBox 360 in late 2005. But that four-year window saw the launch of a huge number of incredibly popular franchises and titles, including Halo and Halo 2, Fable, and Grand Theft Auto: San Andreas. The game that Spencer used to announce the feature was Crimson Skies: High Road to Revenge — a title and IP that Microsoft owns. “OG games will look better and play better across the Xbox One family,” Spencer promised. Spencer did not say when Microsoft expects to make original XBox backwards compatibility live on XBox One, but if history is any indication, we probably won’t see it before this fall. Yes, that new Assassin’s Creed set in ancient Egypt does look good. The setting is gorgeous. Don’t pre-order it. Or any of the other of the several dozen new games shown this weekend. In fact, don’t pre-order any game. Ever. As we learned all too clearly with 2014’s pair of broken and dysfunctional Assassin’s Creed games, the day one buy is often a losing gamble for consumers. Thanks to digital distribution and tight financial-year timelines, games often ship buggy and broken, subject not only to massive mandatory day one patches but even to fundamental, game-altering updates weeks or months after release, once publishers hear player feedback. More: How Do Video Game Publishers Continue to Get Away with Mistreating Their Customers? In short, the player who excitedly plops down $60 and sets up to install a game the second it’s available is as often as not functionally an unpaid tester, likely to sit through many more frustrating bugs and server errors than someone who waits a week or two. And that’s without even touching the whole web of arcane and confusing retailer exclusives, where you get access to different in-game content depending on which store or website you dedicate your dollars to. The situation has improved since 2013, granted. Steam now offers a limited refund program for PC gamers who buy digital goods, Microsoft is testing out a similar option for Xbox and Windows players. But business is all about the money. When you pre-order a game, you’re giving the publisher your cash up front for something that may or may not work, and that you can’t return or exchange if it’s fundamentally broken. Ubisoft is probably going to do better with Assassin’s Creed: Origins than it did with Unity, after the massive blowback it got in recent years. But if it’s not that game, it will be something else. Because every time some new blockbuster game launches with bugs, players complain about its problems… but pay up anyway. The only way to stop the cycle is not to give in to temptation. Games you can buy through digital download are not a scarce good; they exist in more or less infinite quantity. Maybe wait a week or two after release before you jump on your next one.